Absolutely fabulous. Right in the centre within walking distance to everywhere i.e. Ann Frank House, Kalvastrate, etc. Hotel customer service excellent. Rooms large. Well worth booking breakfast it was excellent so much choice. We would visit this hotel again but would look out for special deals. 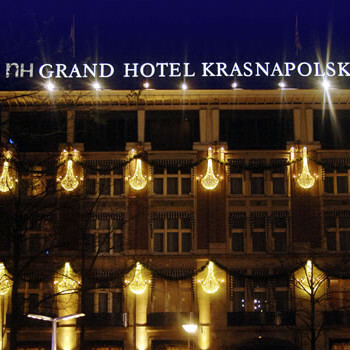 Beautiful hotel located on Dam Square so very central. Everything of interest is within walking distance. We had a room within the main part of the hotel and it was huge. The bathroom alone was the size of your average 3* hotel room! Several restaurants/bars in the hotel, but so many more to explore outside. There was a small mistake in our booking and the following day we were presented with a bottle of cava and some fresh raspberries/strawberries & peaches and a note from the manager to apologise for the mix up. When i return to Amsterdam, this is where i'll be staying. Absolutely fabulous hotel right in the middle of Amsterdam, rooms were cleaned every day, and ours even though a standard room was quite large. We stayed on a room only basis but there are a number of resturants in the hotel which looked very nice (although did seem rather expensive) The bar was also very good and did wonderful cocktails, and had a view across Dam Sqaure. All in all very good hotel!